Guys - an unorthodox choice maybe? - but seeking more wise advise from RL crew to the choice of Yaghting Blue interior against Rhodium Silver exterior TTS I am seriously considering ordering. I plan to option the interior paint on the PCM, console and the cup-holder horizontal dash thing...along with the side panels accents on the doors in the exterior color to zip up the interior. Thinking the Y blue will give the Rhodium Silver a nice blue tinge (Ice Blue) to it. Perhaps you might remember the 1996 Polar Silver on blue 993s - which is one of my favorite combinations. Also yellow gauges to match the yellow brakes...perhaps over thinking this I know but man its a lot of dough - I want it nice. It may be my last new Turbo 911 I ever order....well probably not actually.... but still is still about 75G's C more than I wanted to spend on another Porsche. I do think they overpriced this one somewhat. Alternatively- the agate/ marble grey two tone is beautiful too - but the agate grey reads brown for me against silver when I held the sample at the dealer against the Rhodium car. Picture of a Rhodium car is attached courtesy of some lucky bugger in Europe who already took delivery of his. I know you'll tell me to order what I like - but sometimes one need counsel through illogical and completely emotional decisions that make no sense at all - oh and by the way, on things some of us (ME in particular) can't afford. Had the opportunity to finally compare the now replaced Platinum silver right next to a new Rhodium 991 this weekend,....what a difference IMO compared to Platinum which I was not really a fan of. As you said Rhodium looks very close to Polar Silver, one of my favorites also, and you are right it has that slightly icy blue characteristic. With that being said YB would make an excellent choice for the interior. 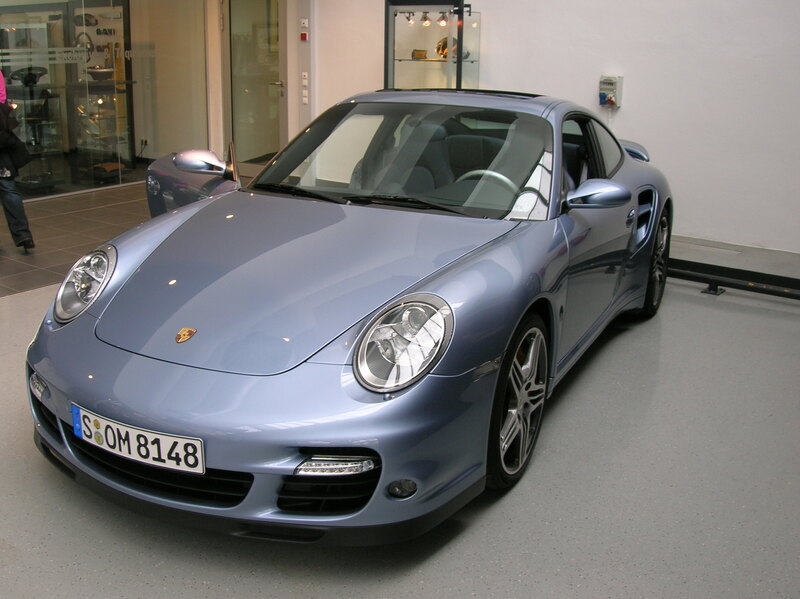 A while back I owned a new 2006 Cayman in Atlas Grey (Grey with a hint of blue) with a Sea Blue interior (very close to YB) and it was very distinct and tasteful without being boring. Your right, Agate grey leather is a nice color,....but it isn't Grey at all!....to me it looks like a lighter Espresso and would not look as good as YB. Agate would look better with GT Silver and its "warmer" undertone. For the inside I like the exterior painted pieces (had them on the Cayman), but not sure about the PCM painted,....I've seen one or two in person and it just looks a bit odd to me, while the rest looks really good painted. If it were me though I'd go Carbon Fiber all the way. 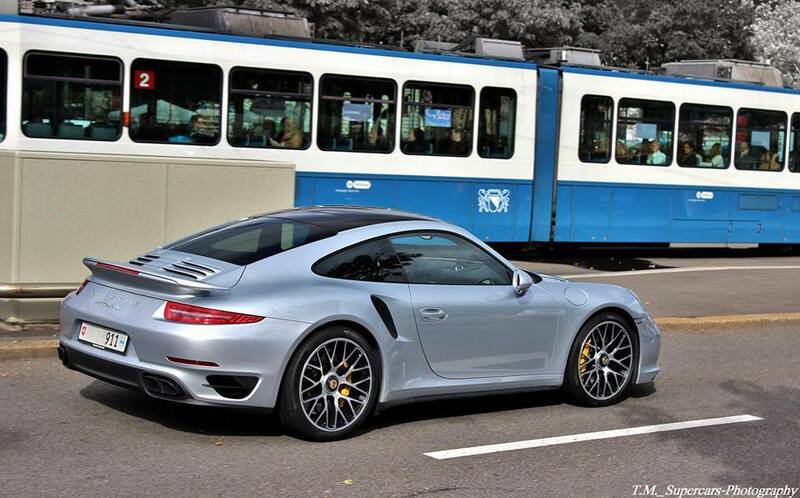 I have it in my 991 and it is spectacular IMO,....would look so good against YB also. I'd vote against the yellow gauge faces also, IMO would just look out of place,...even with the yellow S calipers (Boy, I wish Porsche would let you select your own color here!). Silver (my pref) or at least YB seat belts,....or they will be black! Decisions, decisions,....know how it is. All the above is just my .02 and worth exactly that!....Good luck with it. I think blue interior makes for tough resale but it's your car get it how you want it. I don't think you would have a bit of problem selling in the future. Why that color leather is even offered is beyond me. For resale, if you are concerned, you have severely limited your sales appeal. For silver, red or black or combo of both. If you like the blue, go for it! 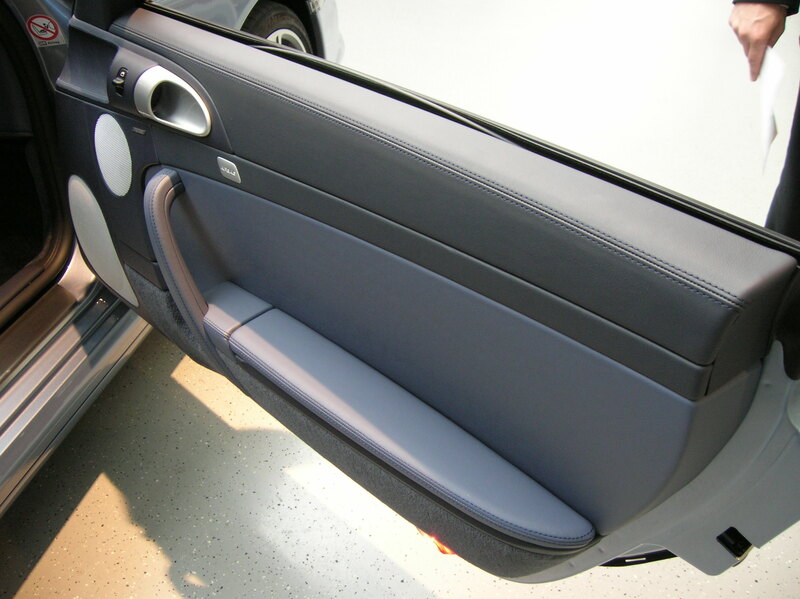 With the amount of blue now in the Rhodium Silver the Yachting Blue is a great choice for the interior. I just ordered a 991 S Cab in White with that interior with interior paint and a blue roof. It looks awesome! Good luck with your order and go with your heart mate! I had that combo on my 355 (F), loved it. I totally agree here. I don't have the money to buy a new 991tt, but I'm very interested in this car. I like reading and learning more about it as in the not so distant future, I'll be glad to buy one from you lucky guys. 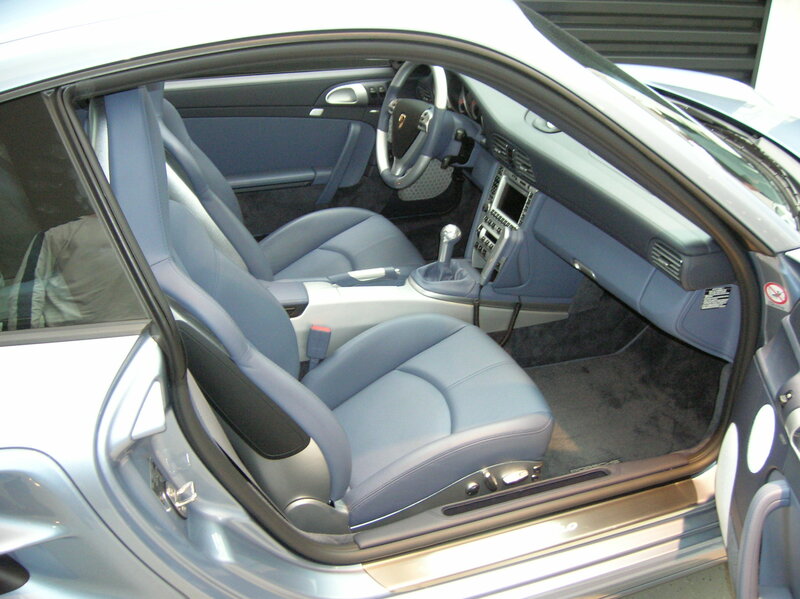 As a buyer of second hand tt car, any weird interior color is a big no. Black never goes out of fashion. Blue, silver, they don't age very well and you have more chances of losing buyers than attracting them. Red/black interior, this one is cool, though sometimes the red loses its pop over time and look dull, gotta be sure the color will age well. Tan, looks good and age well, but the lighter color tends to reflect in the windshield. So black is the ultimate interior color in the used market I'm sure. But it's your money, your car, you should buy what you want. First of all YB (and previous Sea Blue) are not "weird" interior colors,....they are just not run of the mill ordinary colors like black, tan or grey. Paired with the right exterior color it can really make a car stand out among the crowd in a great way. Black interiors are great, but are very common. IMO the standard beige & grey shades Porsche uses look straight out of a rental car fleet. I once showed the C. red interior to my wife and the only word out of her mouth was "pimpish",...if there even is such a word. I still love it to this day though and may get it when I order the TT. 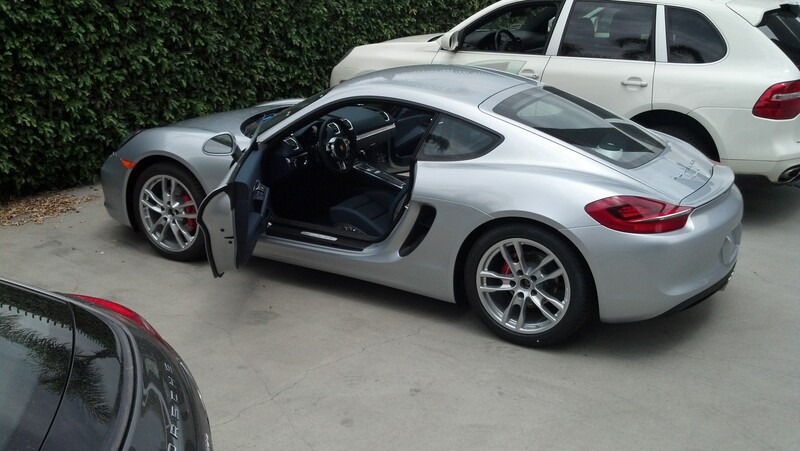 My last two Porsches had sea blue interiors (close to YB),....the Cayman sold to a 3rd party in less than a week by a guy who flew cross-country to get it because it wasn't Silver/black, Black/Tan or Black/black. It was his first Porsche and wanted something a little different and loved the Atlas/SB combination. My silver/blue 997.2 C4S got traded into the dealer for my 991 and sold the 8th day it was on the lot, while many other dull combinations sat for weeks. When it comes to resale of a Porsche condition & mileage trump everything,....keep the color combination classy (which RS/YB surely is) and you will never have any issues selling it. Believe it or not there are many people out there looking for outside the box color combinations typically more then there are cars available. Now if you order Mahogany Metallic or Lime Gold with Carrera Red leather,.....yeah, that would be an issue. Silver & Blue?....no worries. This is exactly the type of vehicle I tried to buy when I was looking for my 997TT. Polar Silver/ Sea Blue- ended up on another car close to home. Love it- did it on a few builds and worked out well for customers. It's fun! PPL never really see blue interiors in any other vehicle- & all the while being low key. Other bits that would look really good IMO are aluminum accents with the blue- seat backs etc unless you can now order PTS seat backs. Aluminum illuminated guards- look nice with a blue tone. I don't like blue and black together and the steering wheel and center console remain black. I wish Porsche would update their interior colors. I would prefer a light cream and darker blue options. Ferrari has done an amazing job with their color options really allowing you to customize your car. I'm the rabbit today. no time gotta get on the road from NOLA to Houston. Agreed but timing and cost is of course the issue. I like the sea blue better than yachting blue. Think best combo would be a very dark blue interior with rhodium or a cream and dark blue interior with Ferrari Blu Pozzi which is a non-metallic very dark blue. I don't like most dark blues since they read purple in sunlight.